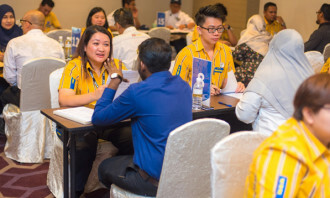 The Department of Statistics Malaysia (DOSM) has just released its latest Key Statistics of Labour Force in Malaysia for February 2018. According to the report, the unemployment rate in February 2018 dropped 0.1 percentage point to 3.3%. Meanwhile, the year-on-year comparison saw the country’s unemployment rate to be 0.2 percentage points lower than February 2017. On a seasonally adjusted month-on-month basis, the unemployment rate (seasonally adjusted) for February 2018 decreased 0.1 percentage point to 3.2 per cent. As for the country’s labour force participation rate (LFPR), it remained at 68.2% as compared to the previous month. 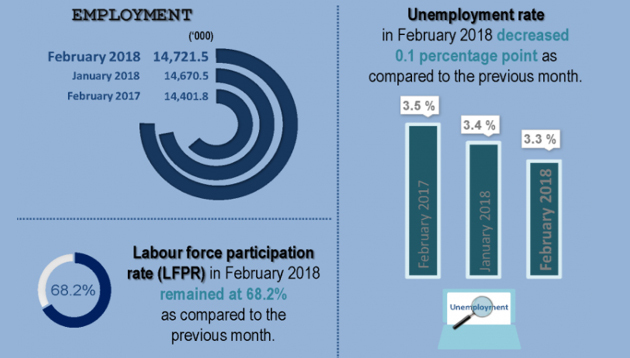 On the other hand, the LFPR in February 2018 increased by 0.4 percentage points (year-on-year) when compared to February 2017. At the same time, a total of 31.8% of working age population (15 to 64 years old) were outside the labour force. This comprised housewives, students, the retired and those who are not interested to work. Those who are already happy with their salary (72%) and those who got a raise before they had to ask (65%) report the highest rate..